Edgo was pleased to sponsor and participate in the third annual Libya Oil and Gas forum that was held in central London on 29 and 30 May. 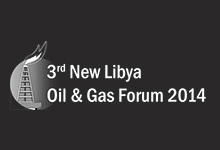 Over 300 delegates attended the conference, including a high level delegation from the National Oil Corporation (NOC) of Libya. The agenda for the two day forum included a keynote speech from the newly appointed chairman of NOC, Eng. Mustafa Sanallah, who gave an overview of the current exploration activities and opportunities in Libya. Other highlights were a presentation on the exploration potential of the deepwater Sirte basin and an interactive panel discussion on how to encourage and ensure investment in the upstream and downstream hydrocarbon sector in Libya.